When added to a meal, a half-teaspoon of this hot red pepper may boost feelings of fullness, according to a recent study. Capsaicin, the phytonutrient that gives cayenne its kick, may stimulate certain fat-burning proteins, but research on a weight loss link remains preliminary. Capsaicin also can reduce excessive stomach acid production, lowering risk for ulcers, and improve blood vessel function to lower blood pressure. Get more: Add cayenne to chocolate baked-good batters, winter squash soups, hot cocoa, scrambled eggs, sautéed winter greens, stews, vinaigrettes, and steamed edamame. Grated Parmesan cheese and cayenne lend sophisticated heat to popcorn. The mildly sweet inner bark of a Southeast Asian tree, cinnamon can improve insulin sensitivity, reducing type 2 diabetes risk. Some researchers think its bioactive compounds, including procyanidin, may help balance blood sugar. Cinnamon compounds also exert antioxidant and antibacterial activity, says Debra Boutin, RD, chair of the department of nutrition and exercise science at Bastyr University in Kenmore, Washington. Get more: Sprinkle about 1 teaspoon daily into oatmeal, pancake batter, squash or lentil soups, fruit crisps, tomato sauce, and ground coffee. Stir into almond butter along with honey. Add cinnamon sticks to stews while cooking; use to stir hot cocoa or warm apple cider. An often-overlooked spice, these pungent dried flower buds are antioxidant overachievers. Of more than 1,100 foods tested for a study in The American Journal of Clinical Nutrition, cloves were three times higher in antioxidants than the nearest competitor: dried oregano. 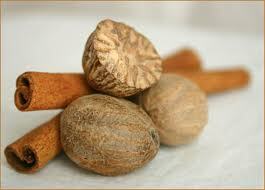 Antioxidant-rich clove extract combats oxidative stress in the brain and may help dispel brain fog. Preliminary research indicates clove extract may block glycation, a process in which protein or fat molecules bond to simple sugar molecules, creating advanced glycation end products (AGEs), which are implicated in aging, heart disease, and diabetes. Get more: Add ground cloves to quick breads, smoothies, oatmeal, chili, bean soups, roasted sweet potatoes, applesauce, and French toast. Add whole cloves to poaching liquid, or when cooking whole grains. A clove-studded onion spices up stock. Traditionally used to boost immunity and soothe digestive upset, spicy-hot fresh ginger contains components called gingerols that may lessen arthritis pain and inflammation by protecting against free radical damage and suppressing pro-inflammatory compounds. After tough workouts, eating ginger can also lessen muscle soreness by as much as 25 percent. “Studies show ginger also helps reduce motion sickness and nausea associated with situations such as pregnancy and chemotherapy,” says Boutin. Ground dried ginger retains much of the antioxidant capacity of fresh. Get more: Grate fresh ginger into marinades, stir-fries, salad dressings, and vegetable soups. Gently boil fresh ginger slices; then combine the liquid with lemon juice and honey for a warming immune boost. Sprinkle ground ginger into batters, granola, smoothies, and green tea. Cooking beans with ginger can improve digestibility, says Boutin. The seed of an apricot-like fruit cultivated in Southeast Asia and the West Indies, nutmeg contains myristicin, an oil with antioxidant and antibacterial properties that may suppress cancerous cells. “Oils in nutmeg have been traditionally used to reduce symptoms of diarrhea, nausea, and stomach upset, and applied topically as an analgesic to reduce tooth and mouth pain,” adds Boutin. Get more: Nutmeg is a clever secret ingredient in dishes such as burgers and meatballs, quiches, casseroles, hummus, cream-based soups, and brown rice. Grate it onto smoothies or whipped cream.